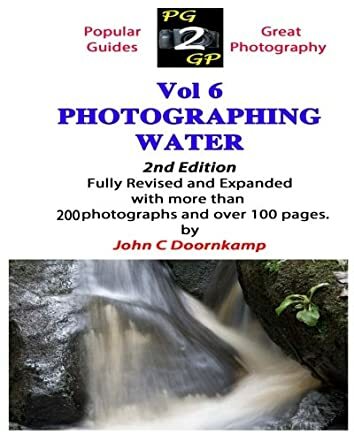 Photographing Water by John Doornkamp is a book, as the title suggests, on how to photograph water. It is a stunning book with many beautiful images of water. The myriad moods, colors, shapes, and shades of water are perfectly captured. The author also throws some light on the techniques of photography. The author speaks about how to capture the essence of water through the lens. The author describes both moving and static water, how they should be depicted, and the difference while capturing them. All possible variations of water are shared here. I always felt there is something very spiritual and cleansing about water. The fact that water is amorphous and can take many shapes and moods is depicted well. The author's notes about each photograph are also very informative. Photography is a fascinating hobby and you need an artistic eye to capture good images. I learnt many interesting facts and tips about photographing water after reading this book. It is very informative and is interesting, not only to someone who is into photography, but also to a general reader. The essence and beauty of water is captured well in the book, both through photographs and words.